If Monday night is any indication, somebody better put some Mumm Napa Brut Prestige on ice. 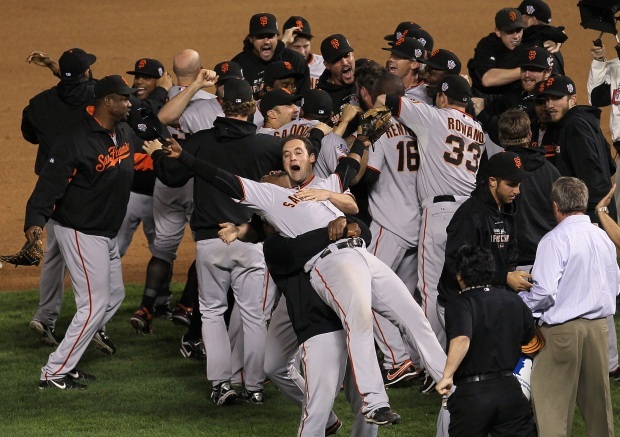 The San Francisco Giants are allegedly big fans of the Napa Valley wine. 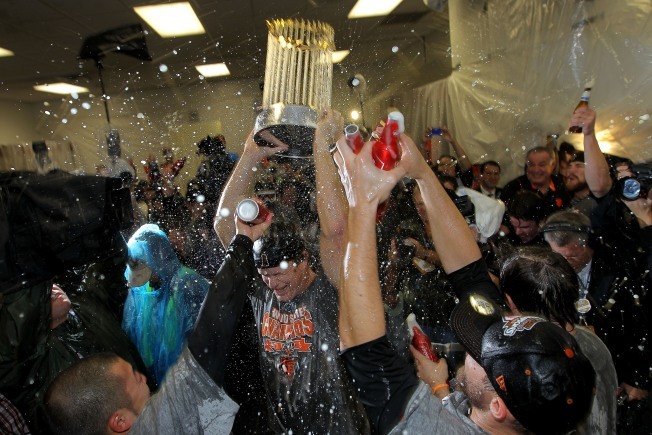 SF Eater reports that during their post game World Series celebration, the Giants doused each other with 12 cases of the good stuff. That's 144 bottles of Mumm Napa Brut Prestige. While the wine is extremly popular, for such a historic occassion that brought the team so much money, you might expect that they would celebrate with something that costs more than $19.99 a pop. But then maybe they saved the good stuff for Wednesday's Market Street parade.